Well, not really surfing, but with Bumble and bumble Surf Spray we can all look like we just came from a day at the beach. 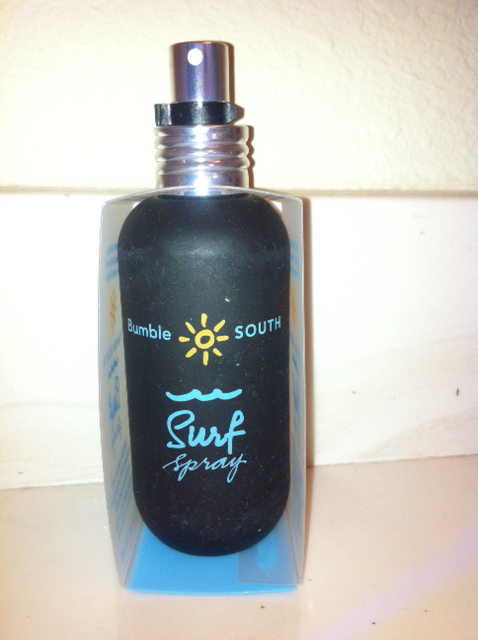 Surf Spray includes Seaweed and Kelp Extracts to moisturize and give your hair a sun-dried, wind-styled look. Since I live near the beach and like a casual look when hanging out there, Bumble and bumble Surf Spray has been a part of my summer routine for a while now. Recently Glamour teamed up with them for a promotion and I was happy to be a part of it by spreading the word to you guys! Here is my beach worthy 'do thanks to Surf Spray! And better yet I didn't have to be at the beach in the Texas heat to achieve it! I keep telling you guys about the amazing products that I get to try, but I realized it has been awhile since I actually passed them on to you! Well that ends now, because one of you will win your own bottle of Surf Spray! Just leave a comment and you will be entered to win! If you like Glamour and Bumble and bumble on facebook let me know and you will receive a 2ND entry. A third entry will go to all who follow Joy De Vivre. The contest has now ended! Thank you to everyone who participated! You are looking good and beach ready! Just gotta find you a big sandbox next to a pool! Thanks Intense!! I wish in this heat that I had a pool! LOL! Texas is HOT too early this year! Oh I LOVE bumble and bumble products. I used their curly hair products and it smells fantastic. By the way, nice photo! Your hair always looks picture perfect though so bumble can't claim all that. Thanks Dorkys! :) We did a testimonial for Glamour so I had to remember to take pics. I love bumble and bumble too! They have really great products! 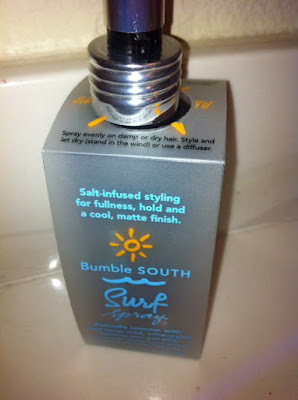 LOVE bumble and bumble products! Their name says it all AMAZING!! Oooh, the Surf spray definitely caught my eye as I was looking for summer-type hair products. It looks fabulous on you by the way! I hope it works for my naturally wavy hair- I really want to play up the waviness. Thank you for the chance to win this! I liked Glamour and Bumble and Bumble on their FB pages. Your hair looks AMAZING :) This WV girl would love to give it a try! Your hair looks great, I wonder how the product would work on my naturally wavy hair...I hope it would look something like this!